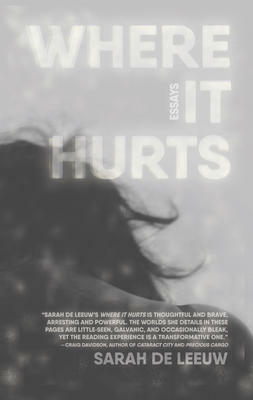 Where it Hurts, by Sarah De Leeuw, is a collection of essays within the genre of creative non-fiction. The vivid essays express loss, trauma and humor. De Leeuw uses complex imagery that takes the reader up and down the famous Highway 16, into Washington, and leaves us in the cold and confusing living rooms of travelers. The core of the book lies in tragedy: a man dies in a woman’s arms (p.9); a daughter is lost at childbirth (p. 71); people experience homelessness (p.77, 28, 95) and myriad other pain and loss. The author offers an interpretation of what terror and loneliness might be like for the mothers of missing and murdered Indigenous women and girls (p.71). 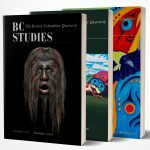 Although it is controversial to borrow from the experiences of Indigenous women, the lens of the author is clear: a Canadian woman who attempts to understand and instead fails to humanize Indigenous women. This is evident as De Leeuw only depicts Indigenous women as drunk and dead (p.26, 28, 77). Thomas King highlights in the Inconvenient Indianthat there are two common depictions of “Indians”: Dead Indians and Live Indians(p.54). King argues that in movies, magazines and literature there is an abundance of dead Indians, and what people often see is cultural debris in the way “Indians” are thought of (p.54). To really see Indigenous people as living affords them the same luxuries as others inhabiting North America – the ability to be human in all of its glory: active, ordinary and hopefully breathing. The book is an honest depiction of sadness via imagery of homelessness, travel, divorce, support work and other emotional labors. The short stories cover a range of emotions, such as terror, love, excitement, curiosity, and confusion. Through these stories the author voices many painful experiences of day-to-day encounters and beyond. The author makes a quiet nod to colonization and homelessness through stories of burning buildings and plays on words (such as Columbus Burning). De Leeuw’s essays make common experience a welcome breeze through her vivid imagery. Throughout the book tragedy becomes hilarious in the awkward human experience. The author manifests memories in the wake of loss. Along with this, the reader maintains a sense of dull pain and uncomfortable experience that is relatable to the everyday woman. The book reads as a reflection of life and a careful inventory of pain and growth. The author shows many realities that can easily become enmeshed within our own personal loss. The book reads as an act of letting go and an unapologetic unravelling of pain. King, Thomas. The Inconvenient Indian: A Curious Account of Native People in North America.University of Minnesota Press, 2013. Edmonton: NeWest Press 2017. 128 pp. $19.95 paper.